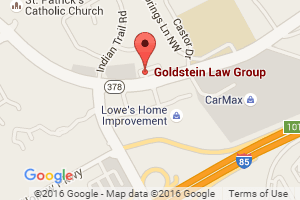 Atlanta traffic ticket laws and Penalties – SEAN GOLDSTEIN, ESQ. If you’ve received a driving on a suspended license ticket, you’ve come to the right place. Driving on a suspended license tickets carry an automatic license suspension if you are found guilty. It’s important to hire an experienced traffic ticket defense lawyer to ensure you get the best defense possible. That’s where we come in. Atlanta ticket lawyer Sean Goldstein help drivers across metro Atlanta with driving on a suspended license ticket defense. We have a high success rate fighting driving on a suspended license citations and getting the violation reduced or dismissed. Often, we can save your license. O.C.G.A. § 40-5-121. Driving while license suspended or revokeda. Except when a license has been revoked under Code Section 40-5-58 as a habitual violator, any person who drives a motor vehicle on any public highway of this state without being licensed as required by subsection (a) of Code Section 40-5-20 or at a time when his or her privilege to so drive is suspended, disqualified, or revoked shall be guilty of a misdemeanor for a first conviction thereof and, upon a first conviction thereof or plea of nolo contendere within five years, as measured from the dates of previous arrests for which convictions were obtained to the date of the current arrest for which a conviction is obtained or a plea of nolo contendere is accepted, shall be fingerprinted and shall be punished by imprisonment for not less than two days nor more than 12 months, and there may be imposed in addition thereto a fine of not less than $500.00 nor more than $1,000.00. Atlanta Traffic Ticket Defense Lawyer Sean Goldstein helps drivers across metro Atlanta fight their driving with suspended license violations. We know the requirements that the State must prove in order to prosecute drivers for driving on a suspended license. If the State cannot prove these requirements, it is possible to fight your driving on a suspended license ticket and have it dismissed.If all of the elements for a driving on a suspended license ticket are met, we can often negotiate a resolution of the ticket that allows the driver to avoid the mandatory minimum jail time, and often allows the driver to avoid the license suspension that automatically occurs if found guilty of a driving on a suspended license violation. We know the persuasive arguments that can be made in defense of your driving on a suspended license citation from our years of experience defending drivers. Contact Goldstein Law Group online or at 678-757-5529 to schedule your free initial consultation if you’ve gotten a driving on a suspended license ticket in metro Atlanta, including Gwinnett County, Dekalb County, Fulton County, Cobb County, or Douglas County, or in the cities of Atlanta, Alpharetta, Brookhaven, Chamblee, Doraville, Douglasville, Dunwoody, Duluth, Johns Creek, Lawrenceville, Marietta, Norcross, Roswell, Sandy Springs, or Suwanee.